Ayreon is a progressive metal project started by Dutch composer and musician Arjen Anthony Lucassen in 1995. Based in Hilversum, Netherlands, Ayreon's musical style derives mostly from heavy metal and progressive rock, but combines them with genres like folk, classical and electronica. The majority of Ayreon's albums are dubbed a "rock opera" with an ongoing science fiction storyline featuring a host of characters, usually with each one being represented by a unique vocalist. Ayreon's music is characterized by the use of traditional instruments in rock music (guitars, bass guitar, drums, analogue synthesizers, electric organs) mixed with instruments more native to folk and classical music (e.g. mandolins, violins, violas, celli, flutes, sitars and didgeridoo). 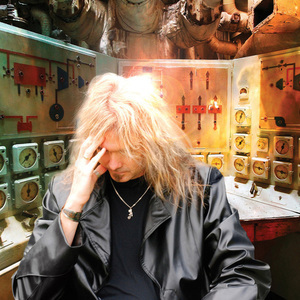 Lucassen writes the music and the lyrics, sings and plays instruments on all of the Ayreon albums, alongside many guest musicians. His most regular collaborator is drummer Ed Warby.